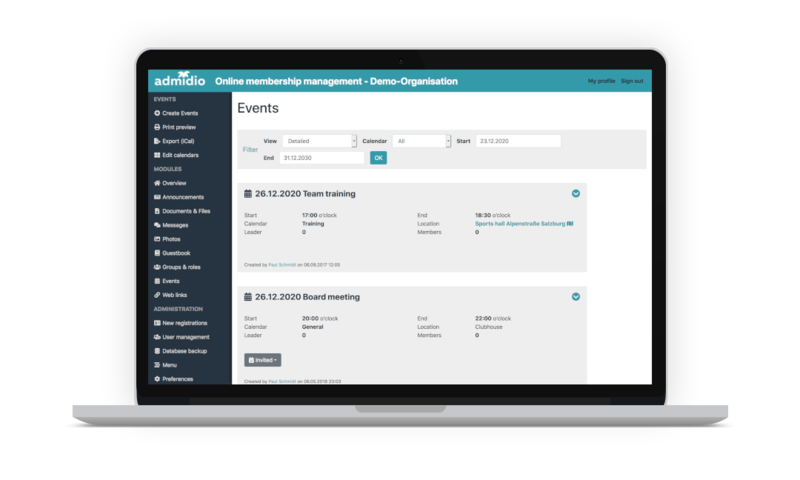 Manage your association, group or organization with a lot of features and few clicks. 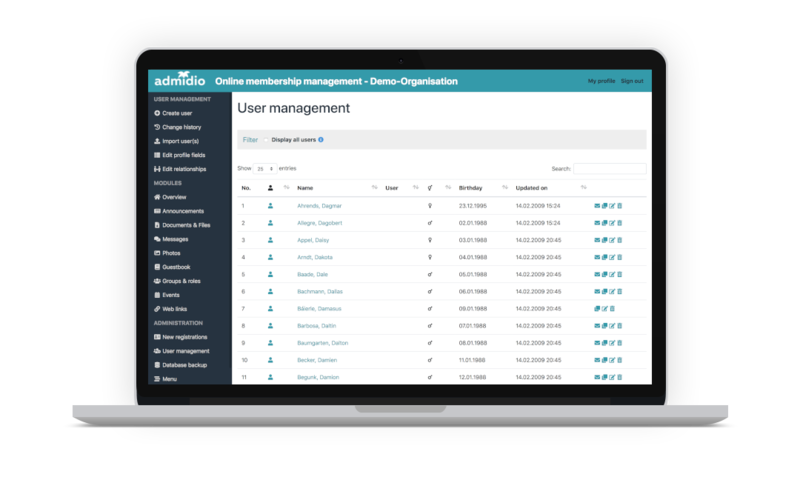 What is Admidio and who can use it? 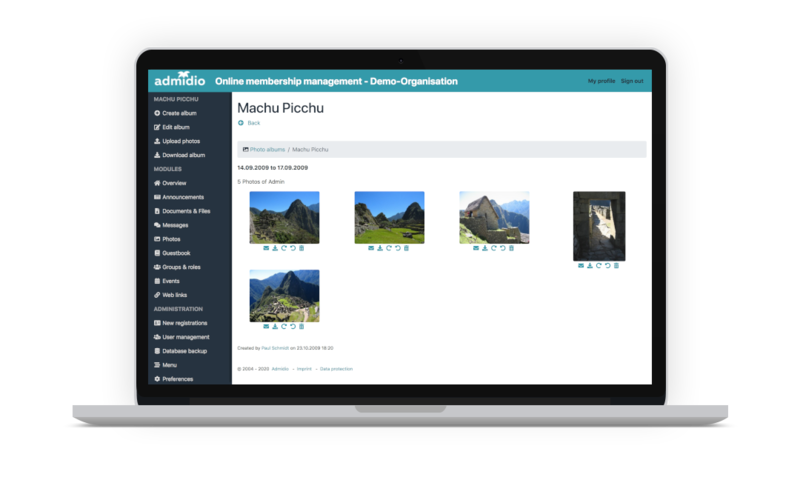 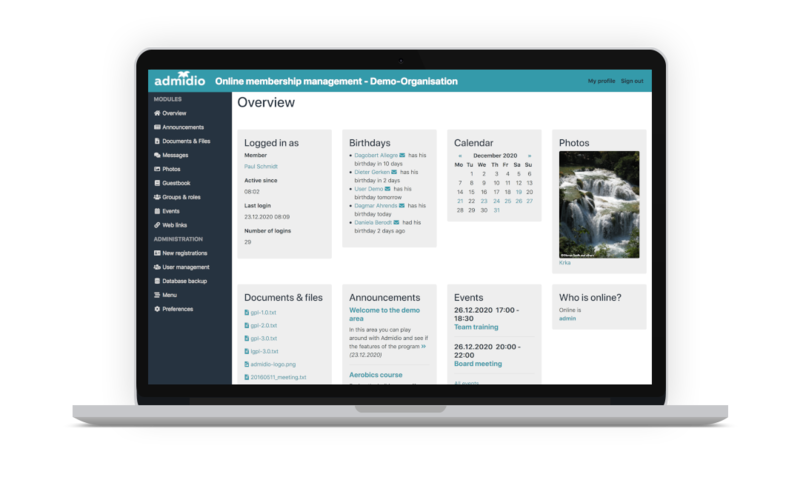 Admidio is specially designed for webmasters who want to maintain their association, group or organization and want to use a membership management including access control. If you want to participate in the project, get support and information about the continious development you’ll find all you need in our forum. Import new or update existing user by using a CSV file.